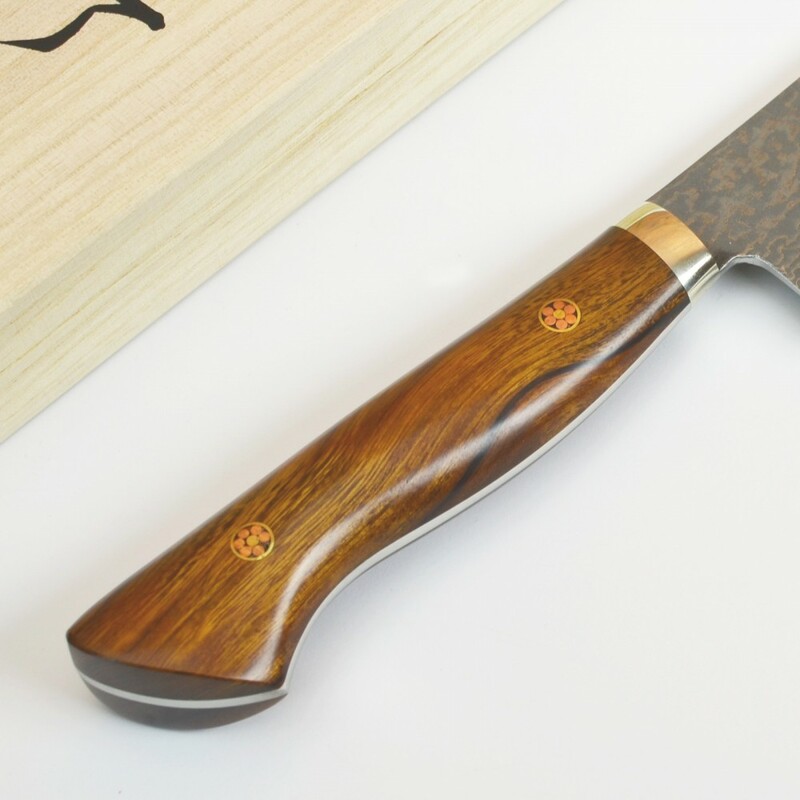 The ironwood handle is near perfection in aesthetics and function. The smooth ergonomic shape lends itself well to most hand shapes and sizes and works well in a pinch grip. The handle is fastened with inlaid mosaic rivets and a polished stainless-steel bolster. 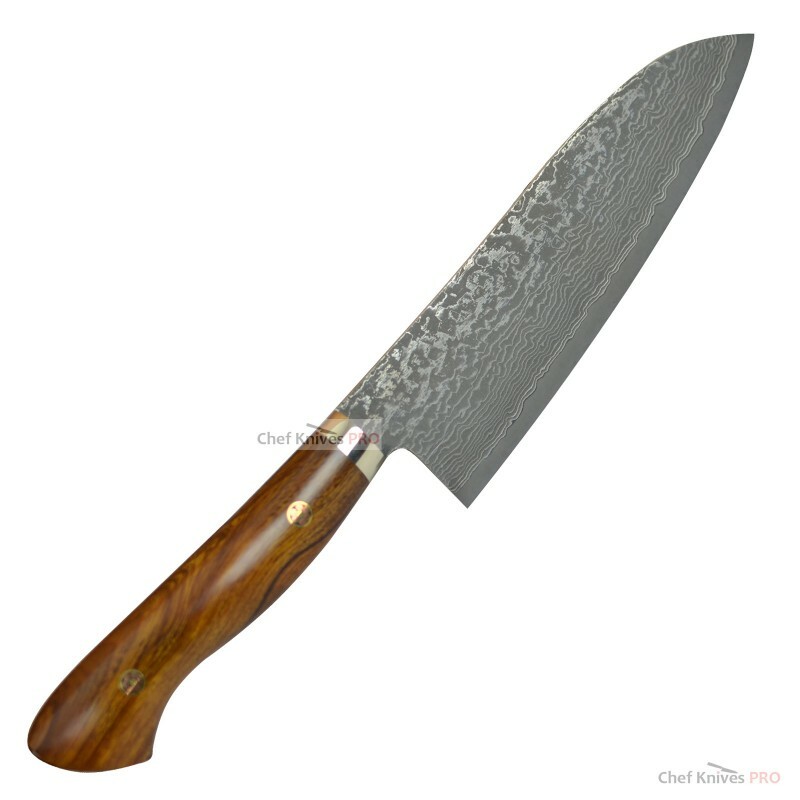 The full tang is polished and presented beautifully.